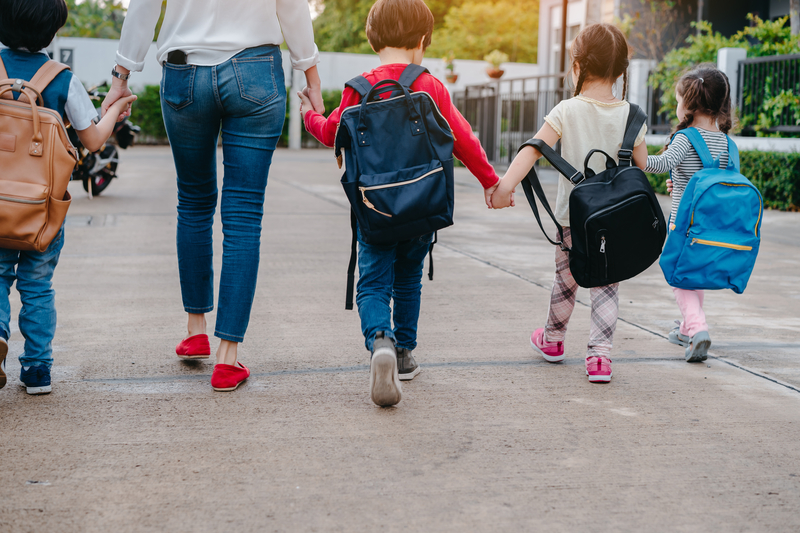 27/08/2018 – In response to the start of the new school year, the province of Limburg calls municipal authorities and schools to structure the school environment as school streets, as much as possible. At the beginning and the end of the school day, cars are being repelled and only pedestrians and cyclists are welcome. Prof. Davy Janssens of Hasselt University also agrees with that. “If a school or cycle street makes sure that the car stays at home? That has never been studied objectively, but we learned from an explorative study that 1 out of 3 is willing to switch to a bike when there is a cycle or school street”, says Davy Janssens of the Faculty of Transportation Sciences at Hasselt University. “During the next academic year, one of our master students will research this in an objective masters’ thesis. In Flanders, there are approximately 30 to 60 cycle street around schools. Within the Route2school project, we participate in the analysis of road safety on school routes and the travel behaviour of pupils.” But just creating a school or cycle street does not suffice, says Davy Janssens. “This only works when there is a bearing surface. Discussions and communication with the stakeholders is important. Besides, enough parking spaces at a walking distance of the school and away from the school gate are necessary. Finally, there must be enforcement and control. Because when you give a street the stamp of cycle or school street, users expect them to be safe. As a result, you may be slightly less alert if someone suddenly ignores the priority for cyclists and pedestrians. Read the full article (in Dutch) in Het Belang van Limburg of Monday August 27.